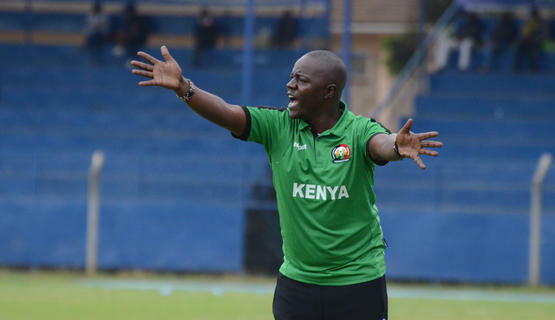 Harambee Starlets coach David Ouma has called up United States based striker Marjolene Nekesa in his provisional squad of 32 players who will enter camp on Monday ahead of next month’s African Women’s Cup of Nations to be staged in Ghana. Nekesa is expected to add in her steel of experience in the squad as Kenya plays its second consecutive Cup of Nations. Also called in to the team is Esse Akida just fresh from signing a professional deal in Israel and the combination of the two is expected to give Starlets an edge in Ghana. Ouma has also handed call ups to regulars Christine Nafula, Mary Kinuthia and Terry Engesha who are fresh from a three-month stint in Sweden as well as Corazon Aquino who had a shot spell in the Scandinavian country as well. The tactician believes that having players who have played outside the country will be a huge boost. “They bring in experience and leadership and coaching such players become very easy. On and off the pitch, they have a very good influence on the other players and it is easier to execute tactical decisions with them in,” Ouma told Michezo Afrika. The team is expected to play two friendly matches, one against Uganda, before they travel to Ghana on November 14, four days to the biennial championship. Starlets earned the ticket to play in the Cup of Nations after the elimination of Equatorial Guinea who were adjudged to have used ineligible players in their qualifier against Kenya. Starlets won the first leg 2-1 in Machakos but lost the second leg 2-0 away from home.